Riddled with massive unemployment, an overextended military, entrenched police state, crumbling infrastructure, and the ever-present threat to the US dollar, it is clear that the United States is merely the shell of its former self. Indeed, in 2014, the concept of long-term American primacy is only a fantasy maintained by the mainstream media with its constant repetition of meaningless and absurd notions of recoveries, humanitarian interventions, and national security. More credible researchers, however, are well aware of the fact that the United States, as an empire as well as a nation, is headed the way of every empire before it. 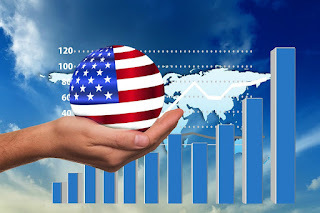 There is little doubt that the United States will soon run out of steam in its march across the world and a crackdown at home while reckless economic policy continues to be dictated from the halls of Wall Street. Yet the decline of the United States is not simply the result of a few years of stupid mistakes made by the ruling class. The truth is that the end of America is nothing more than a waypoint in a script that was written long ago. In order to gain a deeper grasp of the level to which the fall of the United States is a scripted development, it is worth consulting the work of Zbigniew Brzezinski, the infamous geopolitical strategist, architect of al-Qaeda, former US government official, and current advisor to Barack Obama. Particularly, it is important to consult Brzezinski’s book, The Grand Chessboard: American Primacy And Its Geostrategic Imperatives. In the absence of a comparable external challenge [to the Cold War and WWII], American society may find it much more difficult to reach agreement regarding foreign policies that cannot be directly related to central beliefs and widely shared cultural-ethnic sympathies and that still require and enduring and sometimes costly imperial engagement. The book, written in 1997, seemed to lament the fact that the public would not support such blatant imperialism unless they truly viewed the crusade to be in their own immediate self-interest. Only four year later, the public would receive such a “sudden threat or challenge” to their “sense of domestic well-being” as well as that “widely perceived direct external threat” in the form of the 9/11 attacks. In the long run, global politics are bound to become increasingly uncongenial to the concentration of hegemonic power in the hands of a single state. Hence, America is not only the first, as well as the only, truly global superpower, but is also likely to be the very last. This is so not only because nation-states are gradually becoming increasingly permeable but also because knowledge as power is becoming more diffuse, more shared, and less constrained by national boundaries. Economic power is also likely to become more dispersed. In the years to come, no single power is likely to reach the level of 30 percent or so of the world’s GDP that America sustained throughout much of this century, not to speak of the 50 percent at which it crested in 1945. Keep in mind that the permeable nature of nation states that Brzezinski refers to is a result of the process of globalization of economies and the harmonization of laws worldwide as well as the globalization of culture. Also notice that Brzezinski states that the “concentration of hegemonic power” will not be concentrated in the hands of a single state - not that concentrated hegemonic power will cease to exist. Indeed, such world power will simply move from the hands of a perceived national entity to those of an international and global institution. Describing “American primacy” as having only a “relatively brief” window of historical opportunity, Brzezinski states that the fall of the American empire will be due to both internal and external reasons – namely, pessimism and addiction to entertainment at home and overextension abroad. Moreover, as America becomes an increasingly multicultural society, it may find it more difficult to fashion a consensus on foreign policy issues, except in the circumstances of a truly massive and widely perceived direct external threat. Such a consensus generally existed throughout World War II and even during the Cold War. It was rooted, however, not only in deeply shared democratic values, which the public sensed were being threatened, but also in a cultural and ethnic affinity for the predominantly European victims of hostile totalitarianisms. In the absence of a comparable external challenge, American society may find it much more difficult to reach agreement regarding foreign policies that cannot be directly related to central beliefs and widely shared cultural-ethnic sympathies and that still require an enduring and sometimes costly imperial engagement. If anything, two extremely varying views on the implications of America’s historic victory in the Cold War are likely to be politically more appealing: on the one hand, the view that the end of the Cold War justifies a significant reduction in America’s global engagement, irrespective of the consequences for America’s global standing; and on the other, the perception that the time has come for genuine international multilateralism, to which American should even yield some of its sovereignty. Brzezinski thus describes a society that loses its taste for war with other cultures as a result of increased diversity in the makeup of the American public and a lack of cohesion of what has been American culture since the beginning of the country. The fact that America has itself earned the label of the “hostile totalitarianism” that was once foisted onto a number of other countries and governments has finally become too overwhelmingly obvious to hide for many Americans. Brzezinski also identifies the fall of the Soviet Union and the end of the Cold War as a potential hindrance to the drive to fight and conquer across the globe. In other words, the lack of the perceived “direct external threat” results in the lack of desire for empire in the minds of the general public. After all, the average person does not desire war or the glory of empire but merely the ability to provide for themselves and live in some level of comfort. Empire is the goal of psychopaths. Still, Brzezinski sees the lack of the presence of the Cold War as a potential excuse for the sacrifice of sovereignty under the guise of “genuine international multilateralism” and, of course, globalism and globalization. One can clearly see from reading the Grand Chessboard that this concept only alarms Brzezinski in terms of the possibility that the lack of will to expand the empire might come before America has been exhausted in the pursuit of it. Unfortunately for those who will be the cannon fodder for any overseas adventure, that perceived direct external threat was provided to them in the form of radical Muslim fundamentalist terrorism in 2001 and, in 2014, the reemergence of the Cold War propaganda between the United States, Russia, and to a lesser degree, China. With the more-endowed nations constrained by their own higher technological capacity for self-destruction as well as by self-interest, war may have become a luxury that only the poor peoples of the world can afford. In the foreseeable future, the impoverished two-thirds of humanity may not be motivated by the restraint of the privileged. Of course, by “restraint of the privileged” one must read restraint against attacking one’s military equal. Restraint is by no means a word that could be used when referring to the policies of Western or “developed” nations toward “undeveloped” countries. It is also noteworthy that international conflicts and acts of terrorism have so far been remarkably devoid of any use of the weapons of mass destruction. How long that self-restraint may hold is inherently unpredictable, but the increasing availability, not only to states but also to organized groups, of the means to inflict massive casualties – by the use of nuclear or bacteriological weapons – also inevitably increases the probability of their employment. Yet, while the prospect of general war and the employment of nuclear weapons clearly exists, another possibly even more dangerous threat to the American empire is the culture it has deliberately created for the benefit of the ruling class. While Brzezinski presents the American cultural crisis as a threat merely because its hedonism and self-absorption precludes a desire to fight foreign wars, his acknowledgement of the existence of this crisis is revealing in terms of how the American culture has been manipulated into that of egocentrism and entertainment addiction and a type that eschews sacrifice, cultural connection, and identity. More generally, cultural change in America may also be uncongenial to the sustained exercise abroad of genuinely imperial power. That exercise requires a high degree of doctrinal motivation, intellectual commitment, and patriotic gratification. Yet the dominant culture of the country has become increasingly fixated on mass entertainment that has been heavily dominated by personally hedonistic and socially escapist themes. The cumulative effect has made it increasingly difficult to mobilize the needed political consensus on behalf of sustained, and also occasionally costly, American leadership abroad. Mass communications have been playing a particularly important role in that regard, generating a strong revulsion against any selective use of force that entails even low levels of casualties. In addition, both America and Western Europe have been finding it difficult to cope with the cultural consequences of social hedonism and the dramatic decline in the centrality of religious-based values in society. . . . . . . The resulting cultural crisis has been compounded by the spread of drugs and, especially in America, by its linkage to the racial issue. Lastly, the rate of economic growth is no longer able to keep up with growing material expectations, with the latter stimulated by a culture that places a premium on consumption. It is no exaggeration to state that a sense of historical anxiety, perhaps even of pessimism, is becoming palpable in the more articulate sectors of Western society. After decades of increasingly decadent, demoralizing, and dehumanizing entertainment, the deliberate dumbing down of each generation, and the intentional destruction of cohesive social and cultural structures, average Americans undoubtedly lack the ability to engage in undertakings that require intellectual commitment or group cohesion that reaches across racial, social, gender, or other divisions. The growing egocentric nature of American culture renders most people entirely incapable of the empathy needed to interact with others in a positive and productive manner. In addition, this type of culture negates the value of self-sacrifice required for the undertaking of a project for the common good, particularly if that project requires long-term planning and effort with the ultimate effects that may not be witnessed in the worker’s lifetime. While the lack of motivation to fight foreign wars on the behalf of the ruling class is something that should be encouraged and nurtured, the lack of motivation and desire to engage in any activity outside of oneself or the immediate benefits of such activity spells the death of any culture in short order. Such a culture breeds ignorance, apathy, lack of empathy, and cruelty as well as the destruction of the potential for human progress. The latter, however, is of no real consequence to the ruling class. Brzezinski also points out the pervasiveness of drugs in a culture that is already obsessed with immediate gratification and escapism. Compounded with the absurd “War on Drugs” which violates the rights of all Americans in immeasurable ways, the persistent spread of drug abuse continues to the point of rendering a significant portion of the American populace unemployable and entirely disconnected from the plight of the nation as a whole or simply incapable of taking effective action to change their own miserable situation. Brzezinski’s answer, of course, is to provide fleeting optimism to the American people in order to keep the empirical ship of state temporarily sailing. Keep in mind, however, that Brzezinski’s analysis does not provide for an indefinite American empire. The United States will lose its empire as well as what little internal wealth it has left. Thus, whatever optimism is provided to the public, rest assured it will be false and temporary. Brzezinski, Zbigniew. The Grand Chessboard: American Primacy And Its Geostrategic Imperatives. Basic Books. 1997. P. 211. Brzezinski, Zbigniew. The Grand Chessboard: American Primacy And Its Geostrategic Imperatives. Basic Books. 1997. P. 209-210. 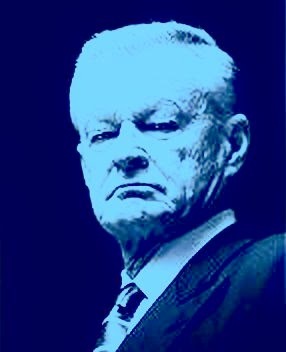 Brzezinski, Zbigniew. The Grand Chessboard: American Primacy And Its Geostrategic Imperatives. Basic Books. 1997. P. 213. Brzezinski, Zbigniew. The Grand Chessboard: American Primacy And Its Geostrategic Imperatives. Basic Books. 1997. P. 211-212. Brzezinski, Zbigniew. The Grand Chessboard: American Primacy And Its Geostrategic Imperatives. Basic Books. 1997. P. 212.